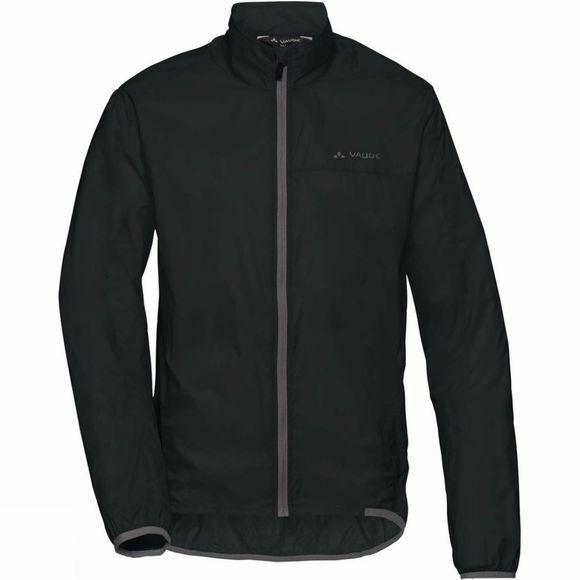 The Mens Air III Jacket from Vaude is a breath of fresh air. 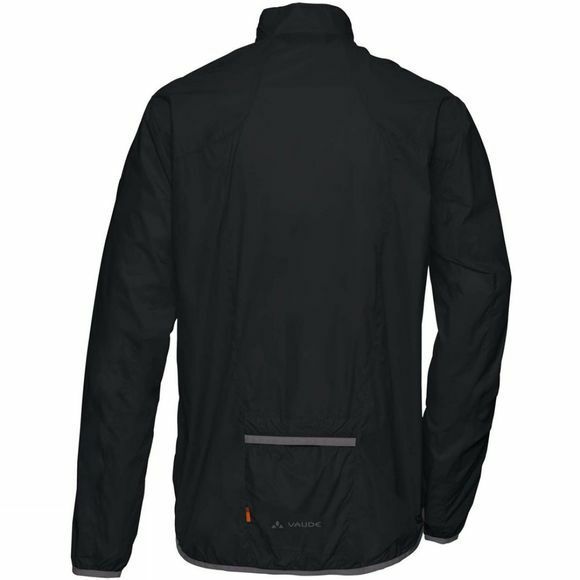 This ultralight wind jacket can be stored in its own back pocket; take it out and it'll keep the strongest breeze at bay while protecting the environment as well. Made from environmentally friendly materials and certified in accordance with the strict bluesign system environmental standard, the athletic cut is absolutely streamlined. This product is made with Eco Finish, an eco-friendly, fluorocarbon-free, water repellent finish (PFC-free). The Vaude Green Shape label stands for environmentally friendly, functional products made from sustainable materials.